Someone could help me? I don't know what to do anymore. We need to know which PLC, what version of VisiLogic, what communications method, and what physical connection you are using. It would also be helpful to know if you've tried other connection methods and if you were able to connect previously, and if so, what changed? Also, are you trying to connect to a new PLC or one that already has a project loaded? Where did you get a virtual PLC? +1 to this. I'd like to know, too. 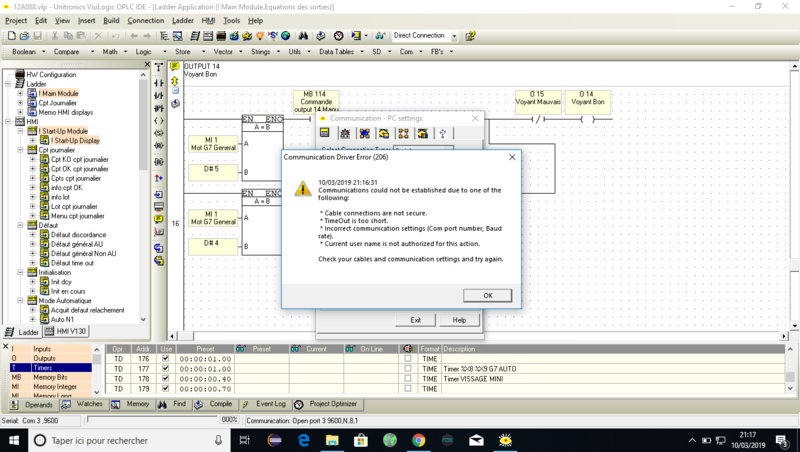 Or do you think that because you have Visilogic working with what you set up as a V130, then this is your "virtual plc" and you can test it? Edited for clarity many minutes after posting. 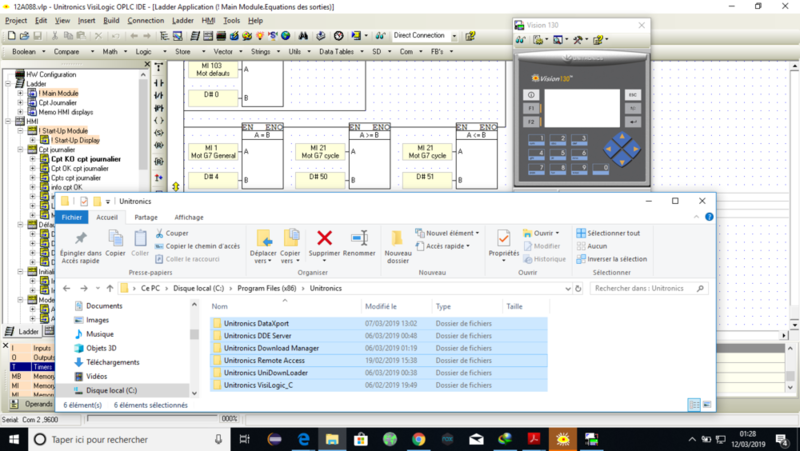 I don't fully understand the significance of your screenshot, except to say that the V130 window is what comes up when you try to use Remote Access, or actually get online with a physical unit and choose to display the HMI during that. But in the screenshot there are no power lines showing that you are online ok.
What is the highlighted folder selection meant to represent? I guess you´re using Remote Access software to show your Vision 130 and you believe it is a simulator. However keep in mind that all Unitronics software requires a physical PLC in order to view online data. There is not simulator. So you have a V130 10 miles away, and you want to connect to it? Is this what you are saying? I think this is just a translation issue, in that you are calling Remote Access your "virtual communication"?